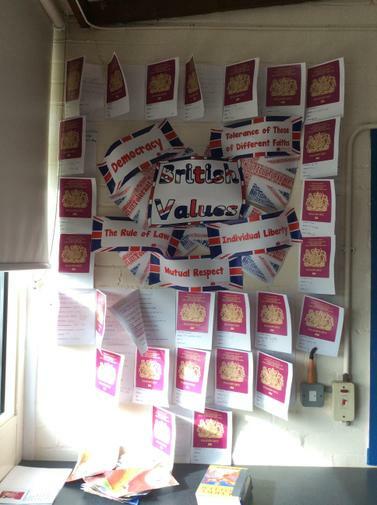 This term our British values focus will be 'Democracy' and 'Mutual Respect'. These will be looked at within each class and members of Pupil Parliament will also hold an assembly for the whole school. The government set out its definition of British values in the 2011 Prevent Strategy, and these values were reiterated in government guidance issued in 2014. 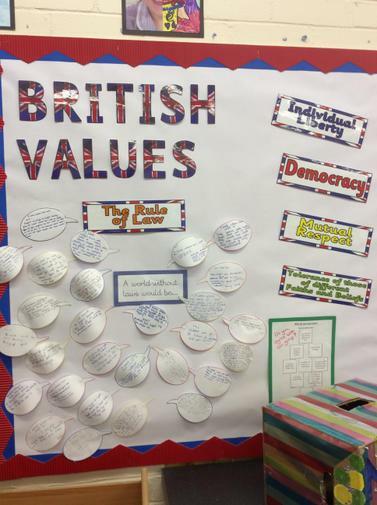 Throughout our school, British values are promoted in a wide variety of ways and link closely to our own school values. Below are just some aspects of school life that enable children to get a sense of these fundamental values as they move on through their time at school. We have a Pupil Parliament where one representative from each class is elected to participate in Pupil Parliament meetings. These meetings provide a way for children’s voices to be heard and for their opinions to influence important decisions made in the school. Pupil parliament representatives hold meetings where their peers can discuss key elements of school life including those issues they wish to be raised in Pupil Parliament meetings. There are also numerous opportunities that are provided for children to exercise a vote, whether it is choosing school team captains or making more simple day-to-day choices. When important votes take place in the UK, such as a general election or referendum, we make sure pupils are informed about the issues involved and have the chance to debate the questions together, with teachers taking an impartial role as facilitator of these debates. 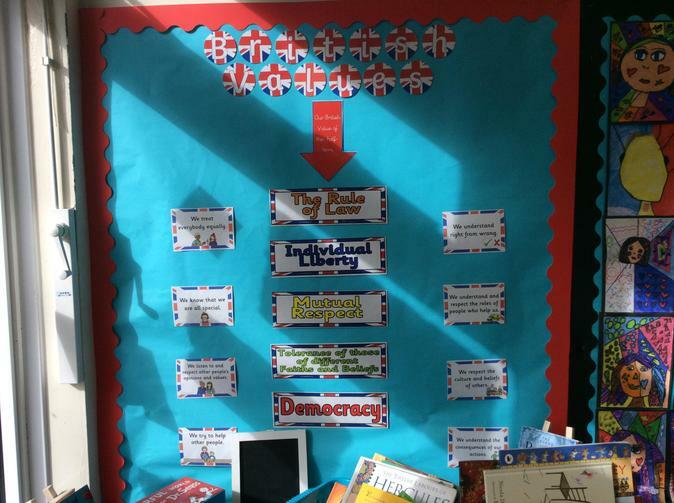 We recently held our own general election in school at the same time as the country election. We actively teach children about their rights and responsibilities as British Citizens, both on a national level and global level. This is underpinned by school assemblies that often look at issues surrounding human rights across the globe. 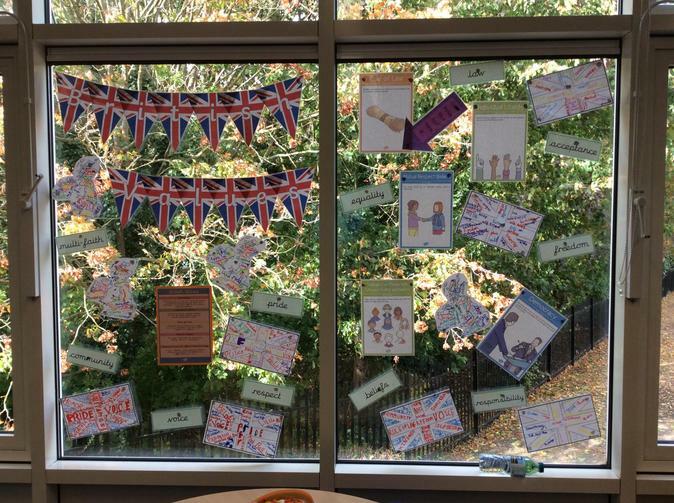 We share examples of stories linked to democracy, discussing the challenges faced around the world and in history; for example, looking at ‘equality’ linked to the suffragettes and women’s rights around the world today. 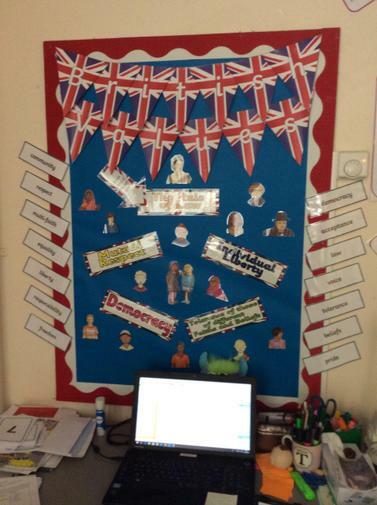 All children are actively encouraged to participate in class discussion and in their learning. Children are taught to respect others regardless of their individual differences. Bullying of any kind is not tolerated and our approach to dealing with bullying incidents is evident in our Anti-Bullying policy. Children are taught about how to develop respectful relationships through our healthy minds sessions. 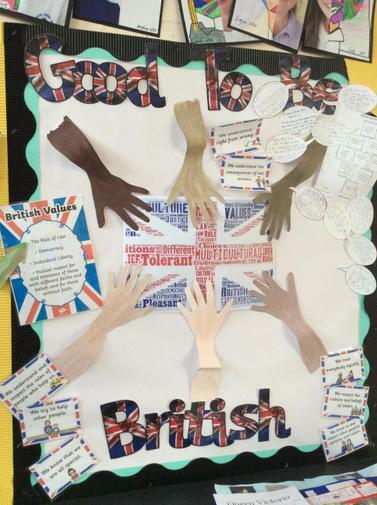 We also promote mutual respect in the online world as set out in our Esafety and Acceptable Use policy that is seen and signed by all stakeholders at Bedgrove Junior School. We hold assemblies that celebrate difference and a range of cultures. These help the children to build understanding of different people and their belief systems that may hold both similarities and differences to their own. In Year 6, some children fulfil the role of children's 'chat' mentors; they promote the respectful and positive building of relationships in school, ensuring children get the support they need when they may have a problem in a friendship. Children are taught about rights and responsibilities in our healthy minds sessions and also as part of our assembly programme. Bedgrove Junior's school values form the basis of our assembly programme. Children’s achievements are celebrated in assemblies to instil in them a sense of worth and create ambitious pupils who believe in themselves and their self-worth. Children are taught about making ‘good’ choices and have a full understanding that they are the ones that make choices about how they act, whether those choices are well made or not. This is instilled through our school behaviour policy. In Year 6 children take on jobs that help to make the school function well. They apply for the roles and so freely choose the way they will contribute to our community. Children also participate in groups that help to develop them as citizens. Our “Good To Be Green” expectations help to ensure that children understand how to behave in a positive way that helps to create a good learning environment. Children and parents sign home/school and Esafety agreements upon entering Bedgrove Junior school that set out the expectations for pupils’ learning and behaviour. These commitments mirror the expectations set by society and function as a set of rules to enable positive participation in school life. Our healthy minds sessions ensure that children learn to accept and embrace difference and to understand how individuals feel. Supporting this, RE Wow days enable them to develop a growing understanding of different cultures and beliefs. The more children learn about religions, the more likely they are to understand different people’s motivations and feelings, thereby enabling them to be more tolerant of those cultures and beliefs that differ from their own. Our equality policy ensures that people of all religious beliefs, genders, ethnicities, abilities or any other differences are offered the same opportunities to thrive at our school. Equality is something we seek to uphold in all of our work.